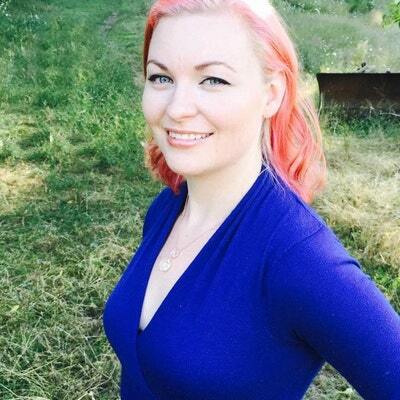 Everyone I know is excited about fall and for one reason only, it’s football season! If you love to cheer on your favorite college football team then you probably also partake in one of the best football traditions, tailgate parties! 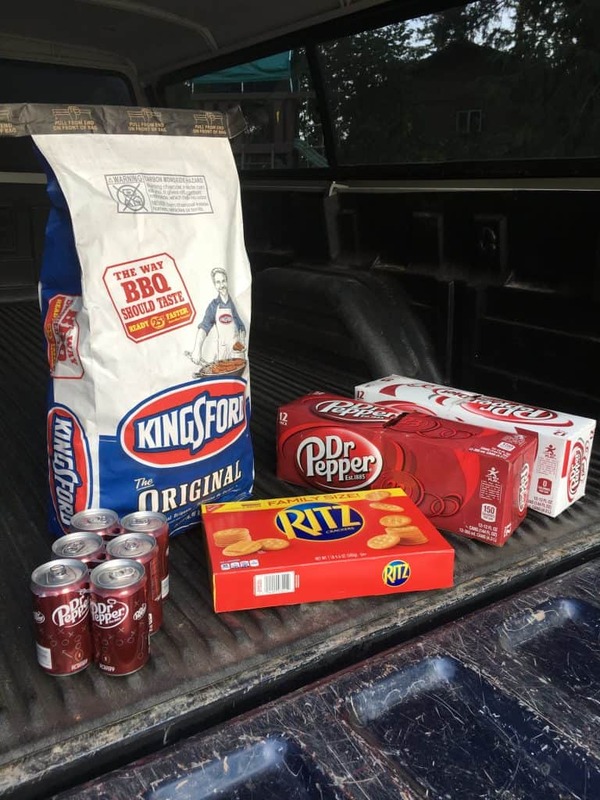 It’s fun to get together with friends before the game, grill up some burgers or hotdogs and enjoy some snacks and drinks. 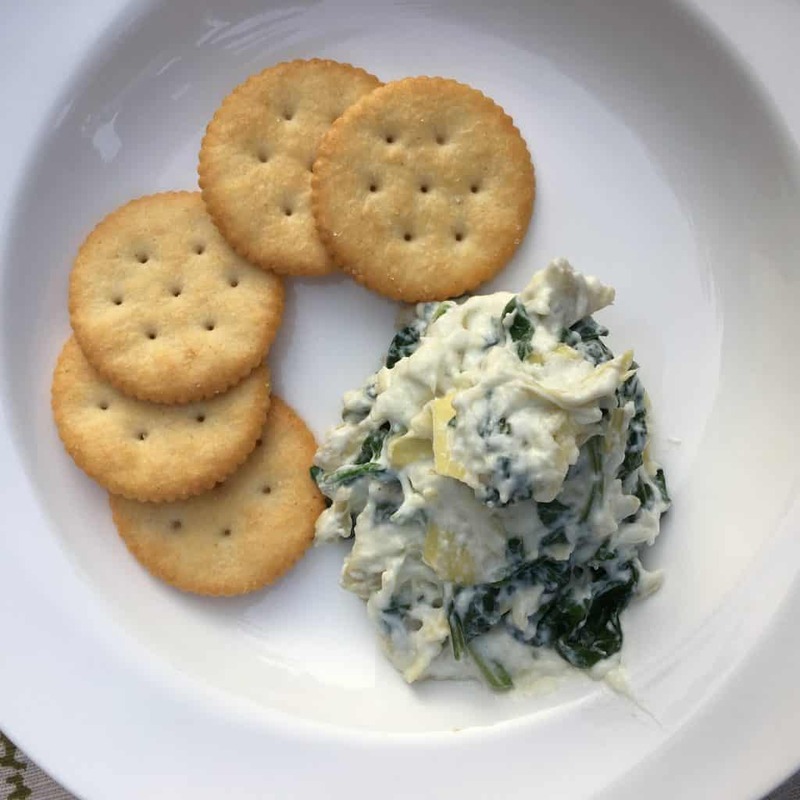 Today I am sharing my recipe for Spinach and Artichoke dip. 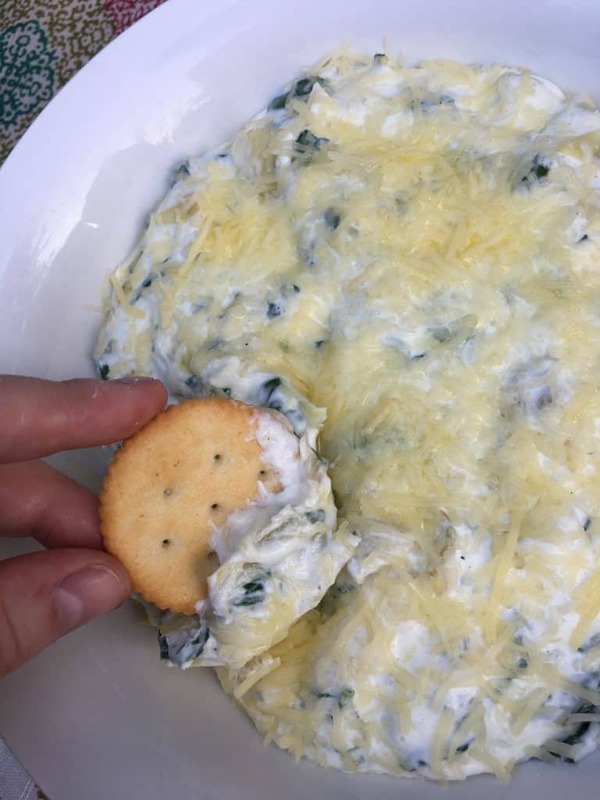 It’s a tasty, cheesy dip that’s perfect to serve with RITZ crackers the next time you go grill-gating. 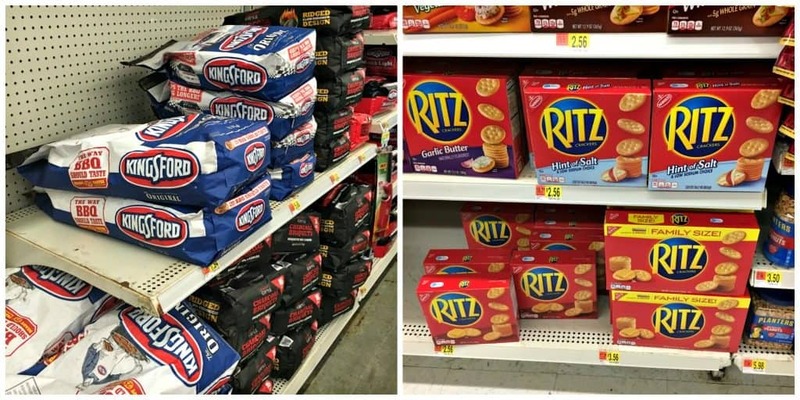 I stocked up on grill-gating supplies at my local Walmart. 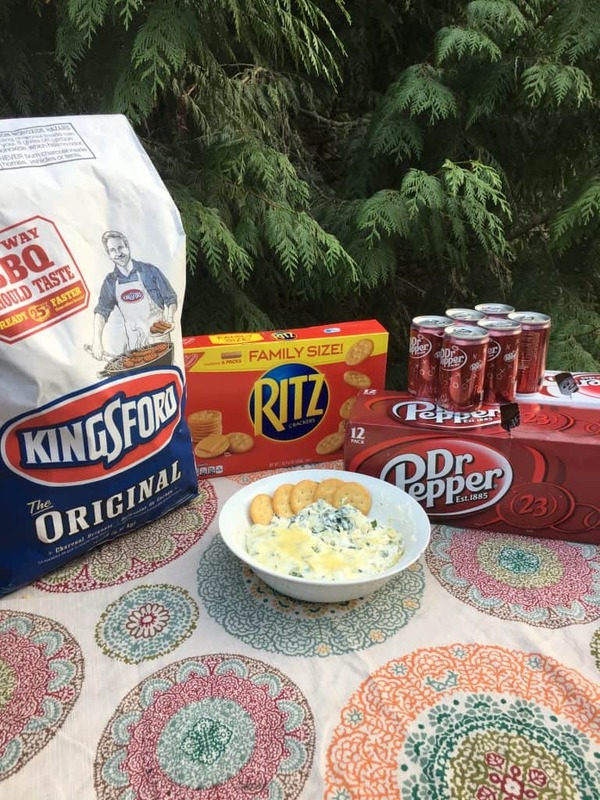 In addition to ingredients for my spinach dip I also picked up Kingsford® Charcoal for my grill, RITZ crackers to serve with the dip and Dr Pepper® to wash it all down. 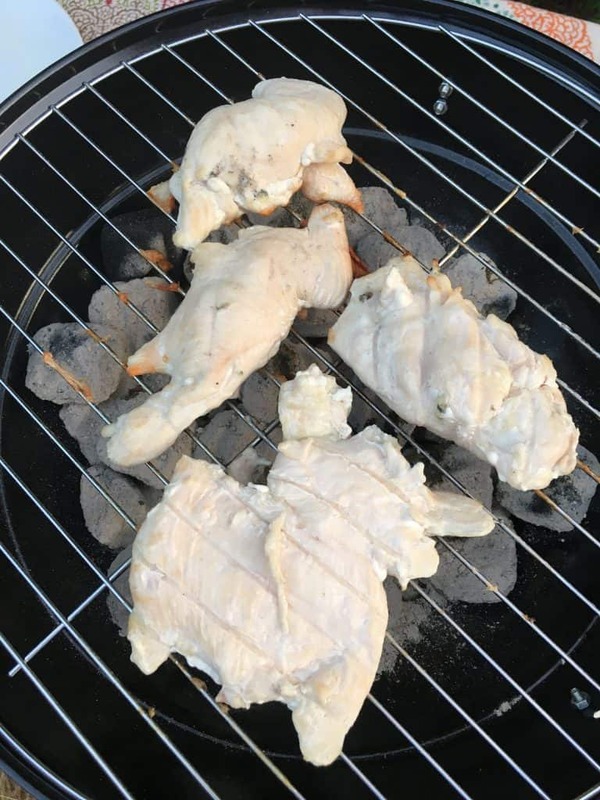 Check out this site with a video of Emmitt Smith where he shares grilling tips and recipes. 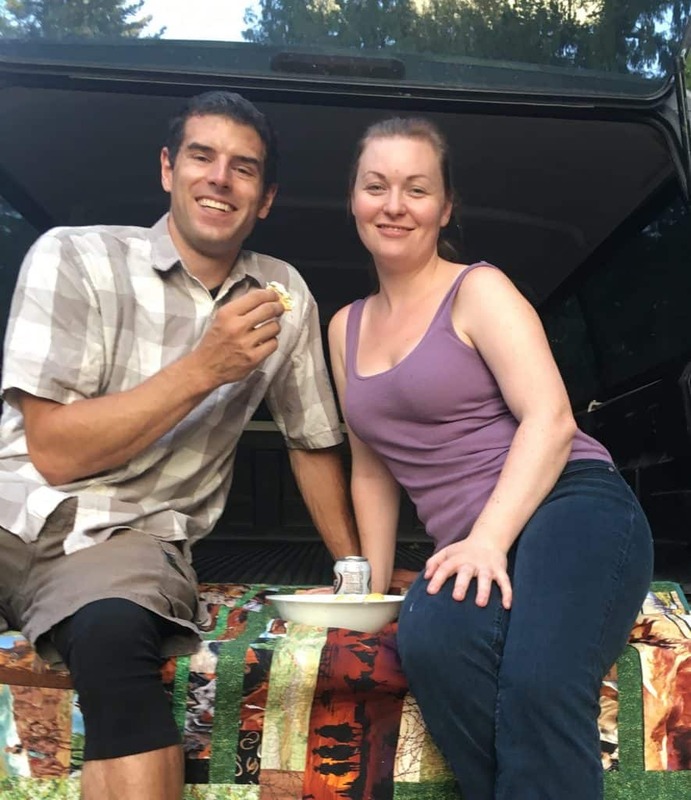 He challenges you to share your grilling photos and experiences. When you use the hashtag, #GrillGatingHero on Twitter and Instagram you could be featured on the Grill-gating website. Add the spinach, artichokes, cream cheese and sour cream into a pot over medium heat and stir until melted together. Add the shredded cheese and garlic salt and mix. Once everything is completely melted pour it into a serving bowl and top with more shredded cheese. 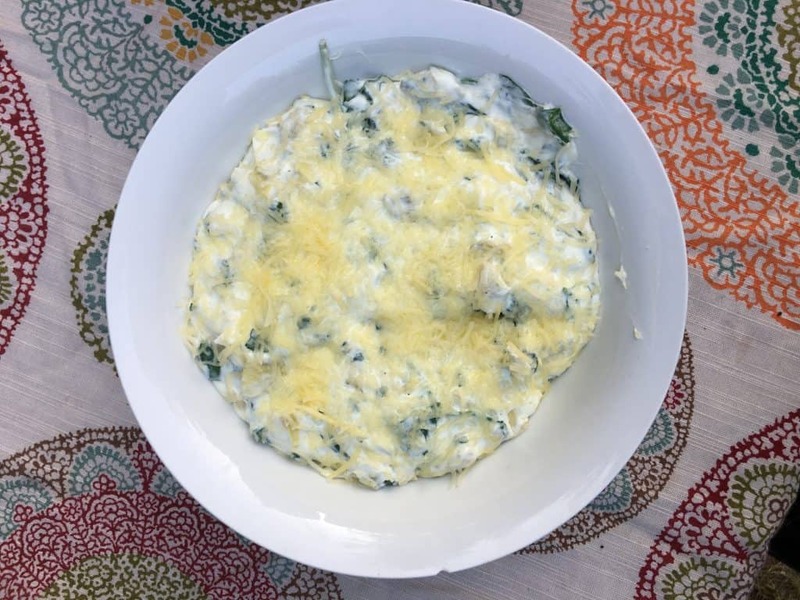 This is a great dip to make ahead and bring to the game or you can bring the ingredients and cook in a cast iron pot on the grill. What is your favorite food to snack on during the game? 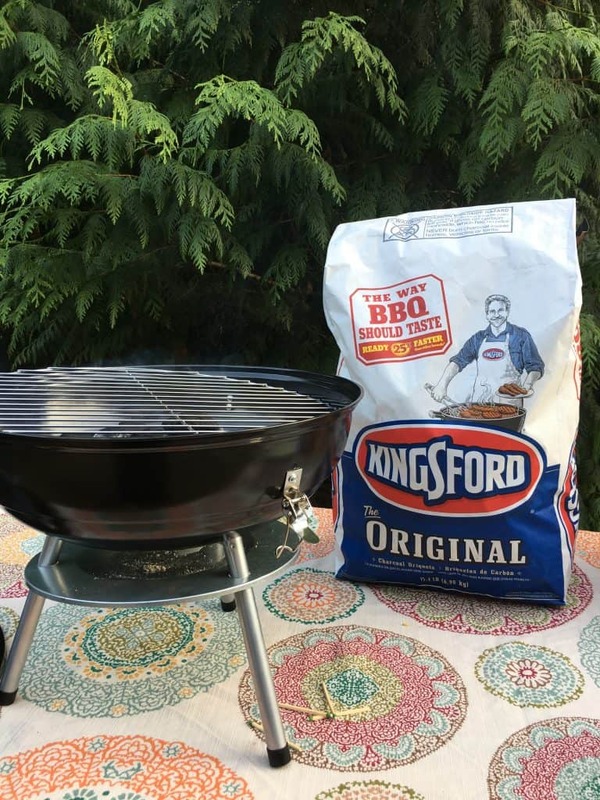 What are your best tips for grill-gating?